Powering a house by solar energy used to be an expensive process homeowners had to tackle on their own. Without understanding how to wire inverters and store surplus power, the average citizen could never harness the sun. Canadian-American entrepreneur, engineer, inventor, and investor Elon Musk is not the type to let the world continue to do things the wrong way. Believing private companies could achieve space travel, he built Space X and began ferrying supplies to the International Space Station. Believing electric cars could be common and fun to drive, he founded Tesla Motors and built an EV with a sub-four second zero-to-sixty time. He also believes average homeowners can have solar arrays on their roofs without spending a fortune. Musk and two of his cousins, Peter and Lyndon Rive, teamed up in July of 2006 to found SolarCity. Headquartered in San Mateo, California, the company designs and installs solar systems, both commercial and residential. It also performs energy audits and builds charging stations for electric vehicles. It has grown to become the #1 residential solar installer in the nation as of 2013. Only First Solar, which specializes in commercial projects, installs more solar panels. 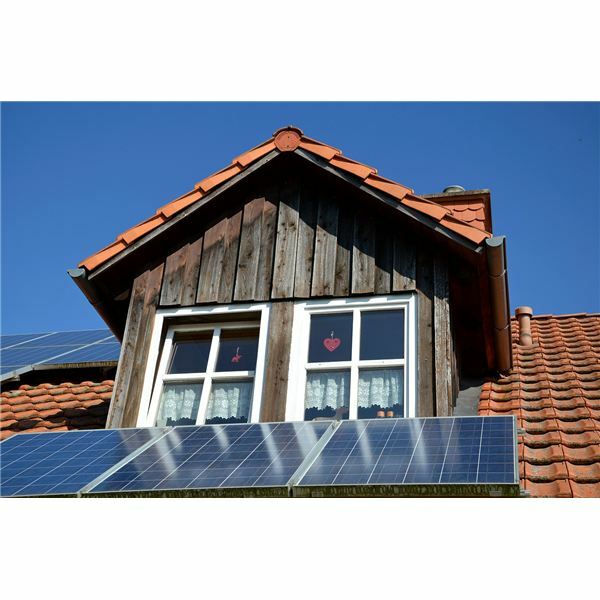 SolarCity offers its services in Arizona, California, Colorado, Connecticut, Hawaii, Maryland, Massachusetts, Nevada, New Jersey, New York, Oregon, Pennsylvania, Washington DC and Texas. For residential customers, they aim to make the process as smooth and affordable as possible. Purchasing solar equipment outright is likely not something ordinary homeowners can afford. Taking responsibility for the upkeep of the equipment is something they probably cannot do. SolarCity has a range of plans to remove that anxiety. MyPower – This is a loan with a 4.5 percent APR the customer pays off based on monthly solar production. Nothing is due up front and a 30-year warranty is included. Power costs will be less for the consumer. The federal government will also apply a 30 percent tax credit. Solar Lease – Again, there are no upfront costs with this plan. Customers pay a locked-in rate for their power, which is more affordable and predictable than power through the utility company is. The system is covered under warranty for 20 years. Solar PPA – The Power Purchase Agreement is a contract between SolarCity and the customer. The consumer does not pay for the equipment or installation, only power at a locked-in rate. SolarCity owns, installs and maintains the equipment. This plan is most popular for commercial customers. Ownership – Of course, you can buy the system outright. It will be covered by a 30-year warranty. You will get a 30 percent federal tax credit and perhaps state incentives as well. SolarCity suggests you do your homework regarding solar energy tax credits. The system may even create surplus power that can be sold back to the grid. A check from the power company is better than a bill. One of the toughest parts of being truly off the grid is having round-the-clock power. The sun doesn’t shine at night when you need your lights the most. You need to store the power created at noon so you can retrieve it at midnight. This requires substantial storage capability. Therefore, most residential systems remain connected to the grid. When your solar system is creating excess power, other customers use it. When you need more power than you are creating, you draw from the power grid. If you create more than you use, you are paid at the end of the month. Due to their connection with Tesla Motors, SolarCity minimizes the problem of storage. Utilizing compact battery technology developed for electric cars, SolarCity sells a wall-mounted storage unit. It will also power your house if the power grid goes down. SolarCity is not the only company offering residential solar services, but it is one of the fastest growing. E Light Wind and Solar in Englewood, Colorado, not only provides solar options but also wind and other renewable sources. It serves commercial, residential and government customers, believing strongly in prefabrication to lower costs and speed installation. Swinerton Renewable Energy in San Diego, California, has been dedicated to giving back to the community for 125 years. It believes that building sustainably is positively affecting the future. Quanta Power Generation in Greenwood Village, Colorado, also uses geothermal, natural gas and biofuels to provide clean power. The company has been operating for over 50 years. We’re already in a boom era for solar power. In 2009, 440 megawatts of solar panels were installed in the United States. Three years later the production grew to 3300 megawatts. Improvements in photovoltaic panels and energy storage have made widespread solar use more practical. Concerns over global warming and dependence on fossil fuels have inspired the public to look for cleaner power sources. Electric cars are also on the grow. Powering an emissions-free vehicle with coal-generated electricity is nonsensical. Solar carports are a more practical way to charge an EV. They need to be embraced by cities and businesses. Ways of thinking are changing. Electricity is no longer something we should turn on without thinking. We can take control of how we power our lives. With some open-minded creativity, we can bring renewable power to your neighborhood.